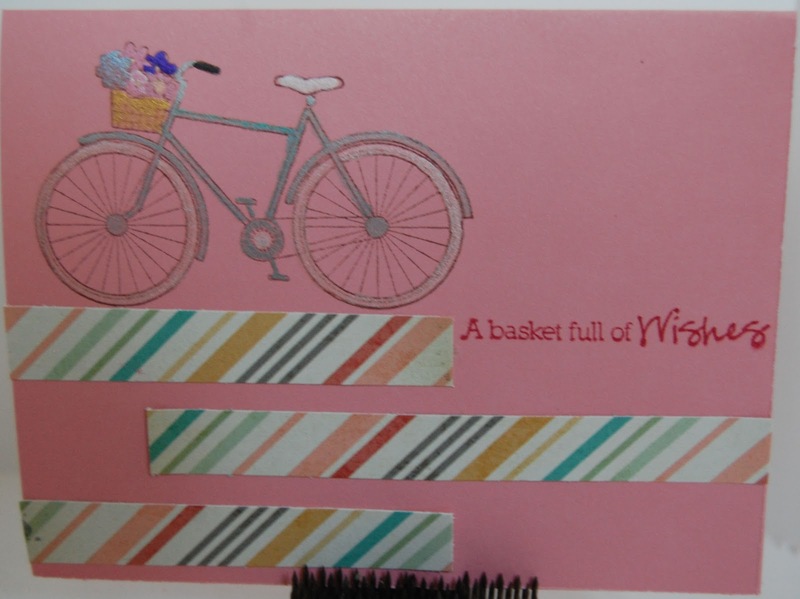 I stamped the sentiment, "Happy Birthday" on the inside of the card. The stamps are from Unity's April Kit of the Month. Paper is Authentique. I used Memento ink. Buttons are from my stash. I used the same Memento ink and a waterbrush on his tail. I love Friday! It's Friends With Flair day! 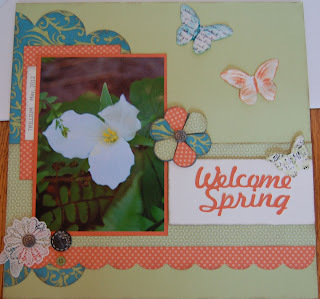 My card this week was sent to a good friend. His mother died and I made it in sympathy of his loss. 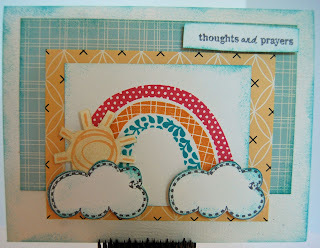 There are 2 Unity stamp sets used (clouds and sentiment). 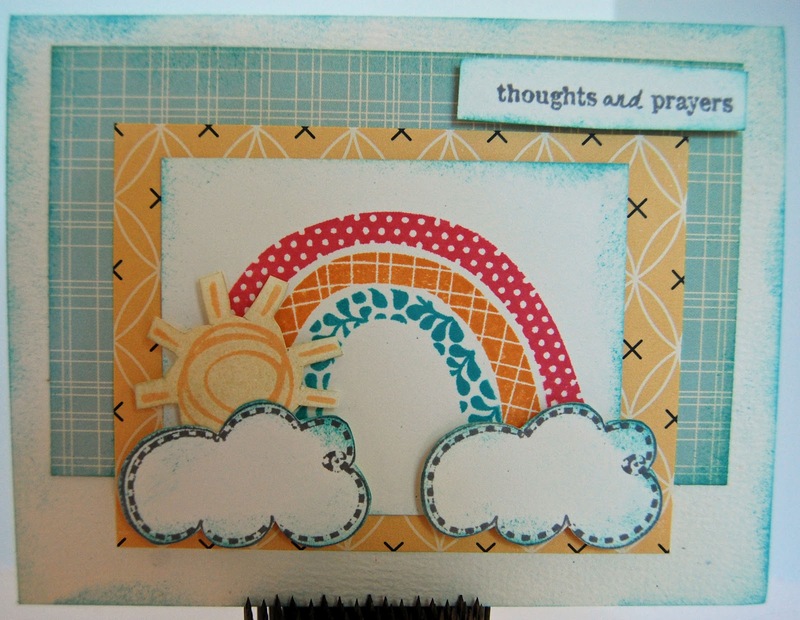 The rainbow and sun are a Close To My Heart stamp set. The paper is October Afternoon. Let me know your thoughts on it. I love your comments! I hope everyone enjoys their Memorial Day weekend! And check out the sales on the Unity website! It's Friday! 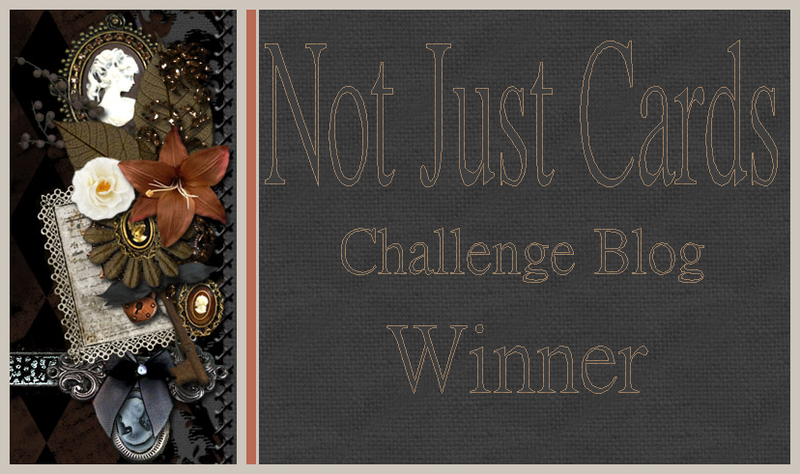 And time for another Friends with Flair blog hop. 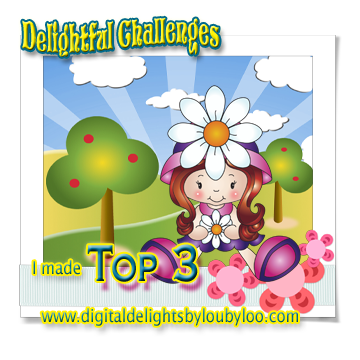 Enjoy all the great creativity and join in the fun. It has been a particularly exciting week for me. I got my new Harley late Saturday afternoon. I've been looking for the "perfect" bike for several years now, and Harley just came out with this bike, the Slim, this spring. I ordered it mid-March, and it arrived at the local dealership in time for me to ride last weekend. Shaun and I took a short ride together (each on our own bikes) on Saturday, then rode for several hours on Sunday afternoon. Woohoo! It's so fun. That was the first exciting thing that happened. 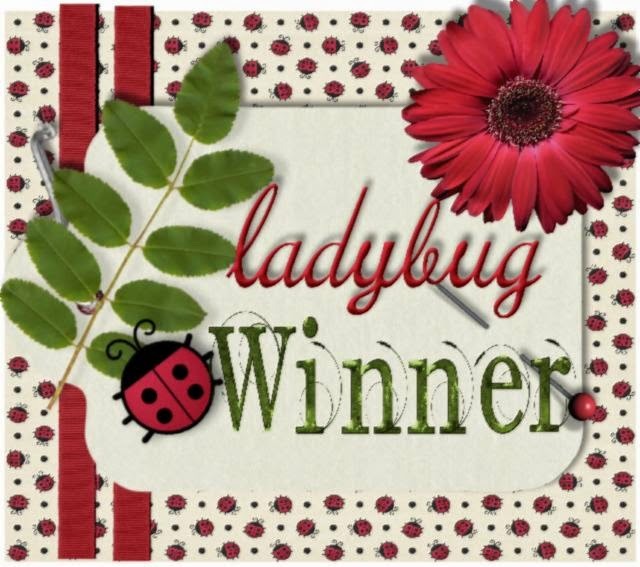 Then, Wednesday morning, I woke to an email informing me I made it on my first design team! And for a great company! CropChocolate.com sells scrapbook supplies at great prices, has a super community of talented scrappers, a great message board, and contests. 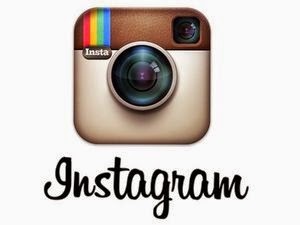 Check it out if you are not familiar with the company. Now, on to my card. I accompany the children's choir at church. The director, and good friend, taught the children a Ken Medema song this spring called, "Love House". Some of the words are, "How do you build a love house? 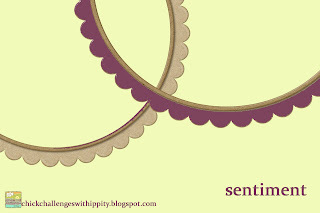 How do you make it strong? It takes working and sharing and playing and praying to make a love house last." 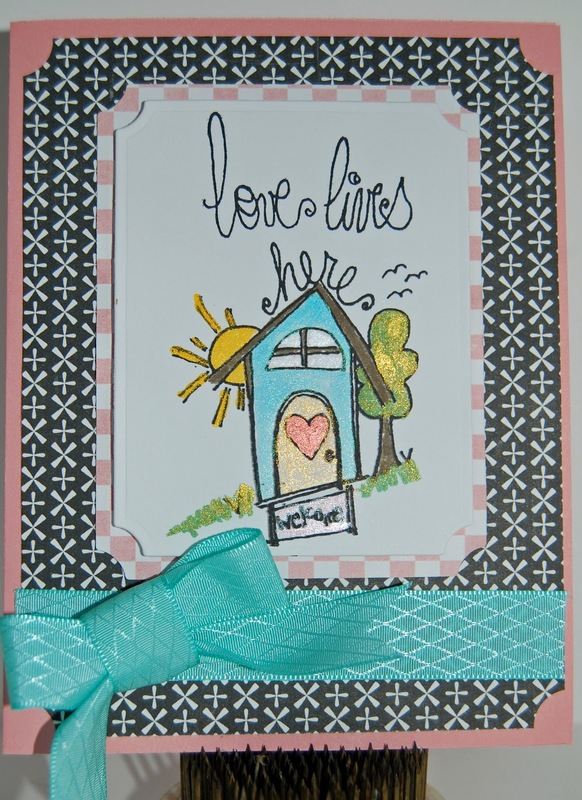 At our final concert of the school year, I made this card for the director with the message inside: "I made you a love house. 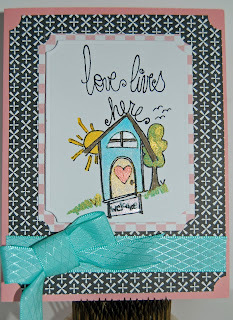 It takes paper, and ink, and adhesive and friendship to make this love house last." Needless to say, Dolly loved the card. I hope you like it, too. This is a celebratory card for me. I recently tried out for my first design team, and found out this morning that I made it! I'm now a proud, but nervous, design team member of CropChocolate.com. 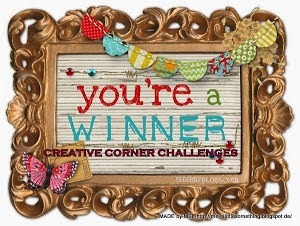 They are a great site -- super prices, contests, a great community, and tons of good ideas. They sell many deals throughout the day. Unity Friends With Flair -- following directions is hard to do! Another Friday! Woohoo! And this weekend may prove particularly exciting for me. I've been saving for 3 years to buy myself a new Harley. It's my midlife crisis, lol. I got a call from the dealership today that the bike is in, but some part needed to install the saddlebags isn't in yet. I'm hoping to get everything in order tomorrow so I can go pick it up on Saturday, ride it without the bags until the part comes in, then bring the bike back to get the bags put on. So, if all goes well, I'll bring home my dream bike very, very soon. 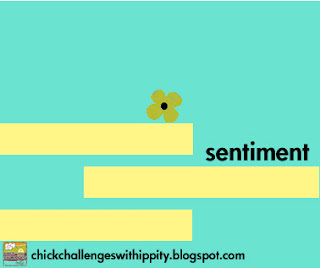 I'll enter this care in the Ippity challenge -- no flowers or bling, so I think it will qualify. 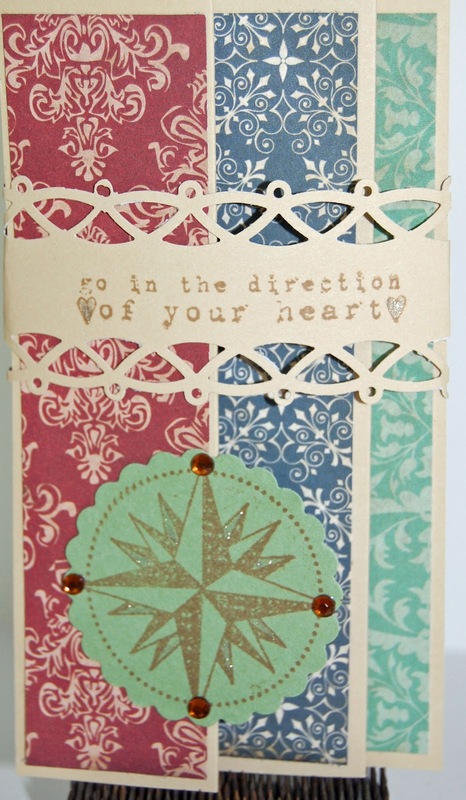 I like this card with the compass, but I accidentally "blinged it up" a bit, emphasizing the compass points. Darn! Here it is, with the accordion opened up. 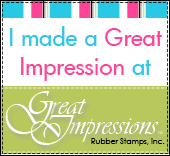 I had several packages of scrapping goodness arrive today -- just in time to play with on National Scrapbook Day! 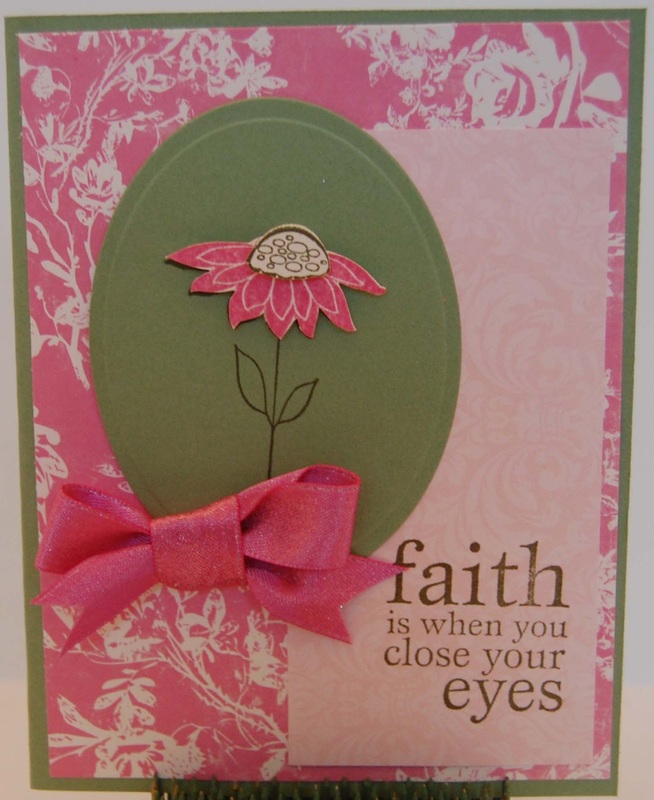 I used some new papers from Echo Park on this card, a new Bazzill cardstock, and a new Ippity stamp set called, "Faith Blooms". I really like it! 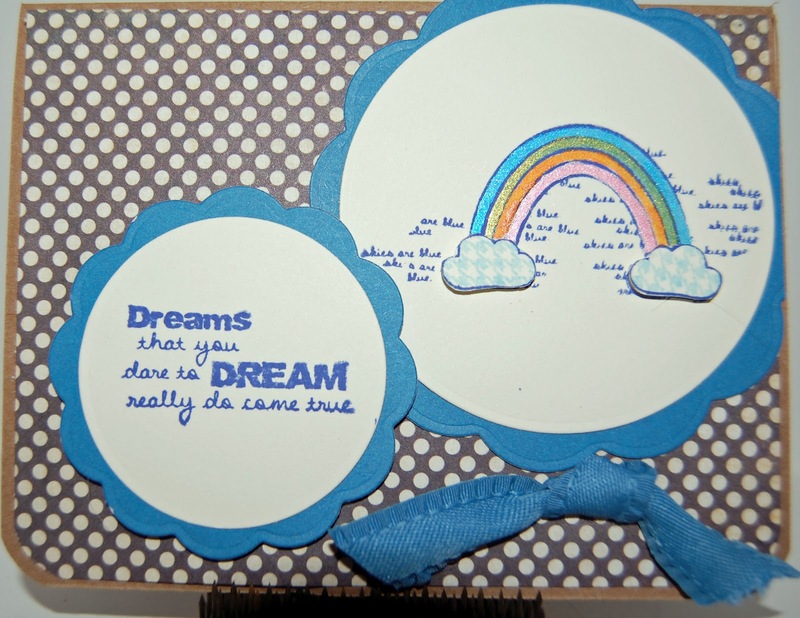 The oval shape is cut with a Spellbinders die. The ribbon just arrived today from the Really Reasonable Ribbon club. This has been a busy day. I'm trying to make some projects for the Cricut Circle, Unity, and CropChocolate.com. 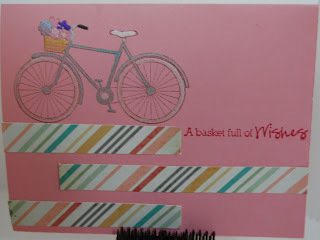 This layout took most of my morning, but I like how it turned out. 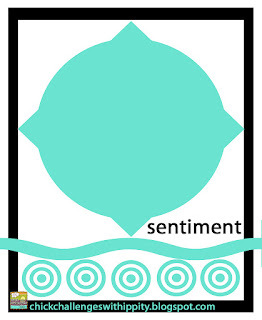 I used the colors in a color challenge, and this is what I came up with. The papers are all from Close To My Heart. 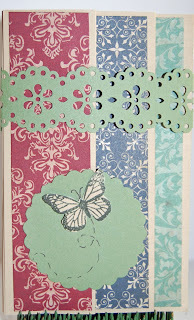 I used the Dotty for You and Lucy papers, along with cardstock. 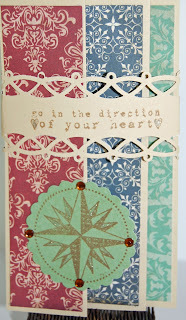 Cricut cuts are from the CTMH Art Philosophy cartridge, Elegant Edges, and April Showers. 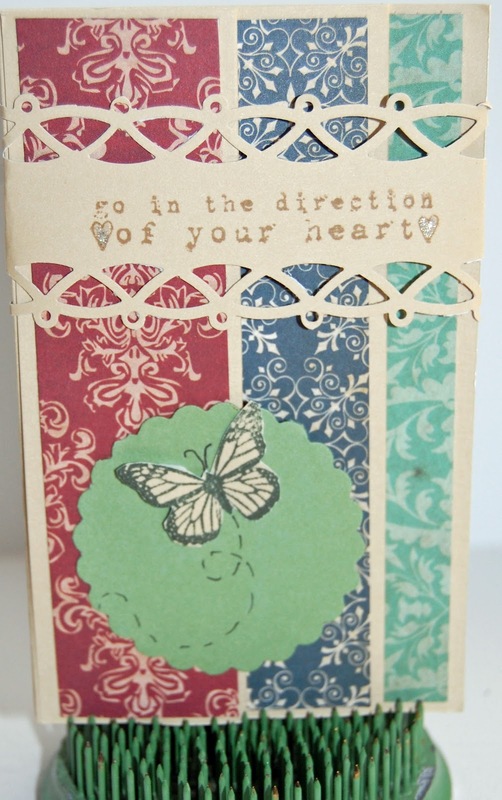 All embellishments and stamps used are CTMH. 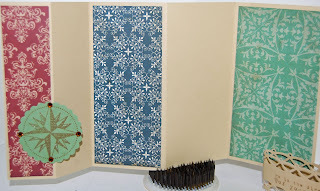 All patterned paper is Cosmo Cricket. 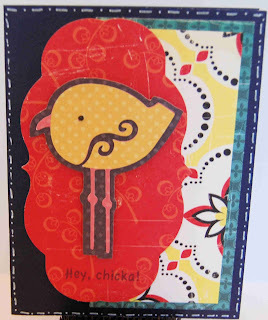 The cardstock is PaperLayerz by Cutmates. I used 3 Cricut cartridges: Close To My Heart Art Philosophy to cut the card base, Cricut American Alphabet for the 3 bird cuts, and Cricut Essentials for the frame shape behind the bird. The faux stitching is done with a white gel pen. 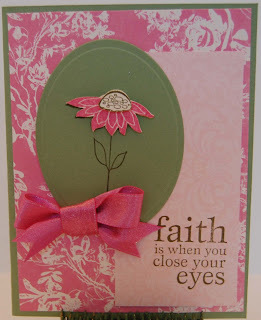 There's a dab of Viva Decor Onyx pearl pen on the eye and the sentiment is from My Pink Stamper (Tweetie Hoo Puns). Hope you enjoy it. 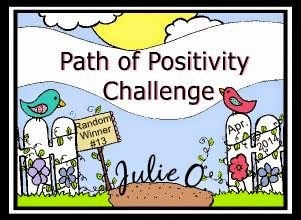 Unity has a challenge going on using this sketch. 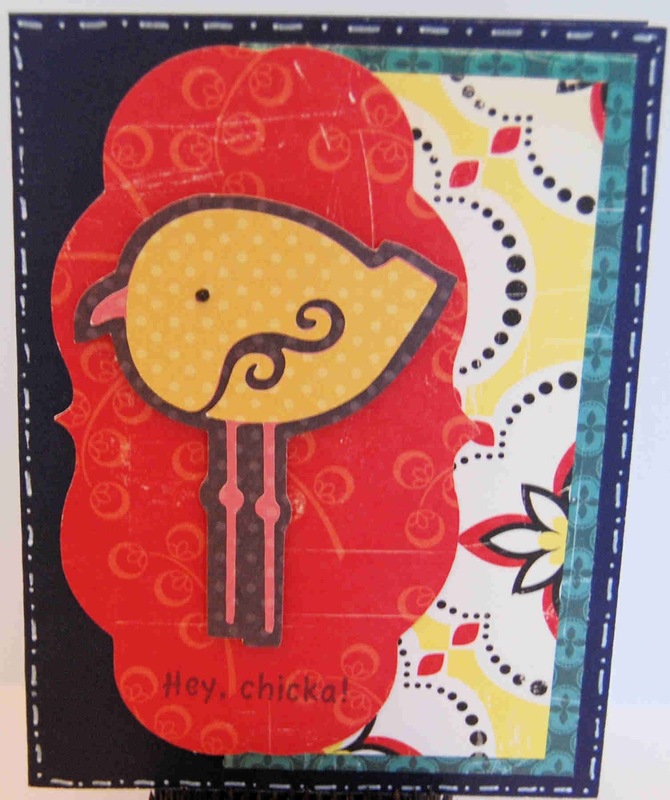 We can make either a layout or a card, and only Unity or Ippity stamps are to be used. I decided since I'm behind on scrapbooking, that I would use a couple pictures from when I went ice fishing this winter. My BFF Sheri and I walked several miles across the ice to her husband's ice shack. Steve and his friend Rick were expecting us, but the shacks had been vandalized that night and they were busy repairing broken windows. That meant there was no heat yet. 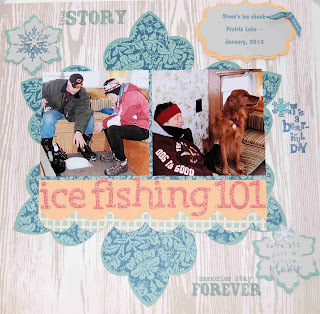 So, it was truly "ice" fishing, since the outdoor temperature was 10 degrees that day. My two dogs loved the experience, once they figured out to avoid the holes in the middle of the shack. Sammy got wet feet a couple times. My guess is it might have meant for a cold walk back home for him, but he never showed it. Here's my take on the sketch. 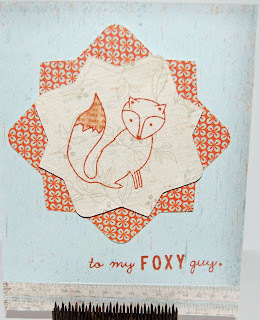 I used all October Afternoon patterned papers and Close To My Heart cardstock. The title is made from Thickers. 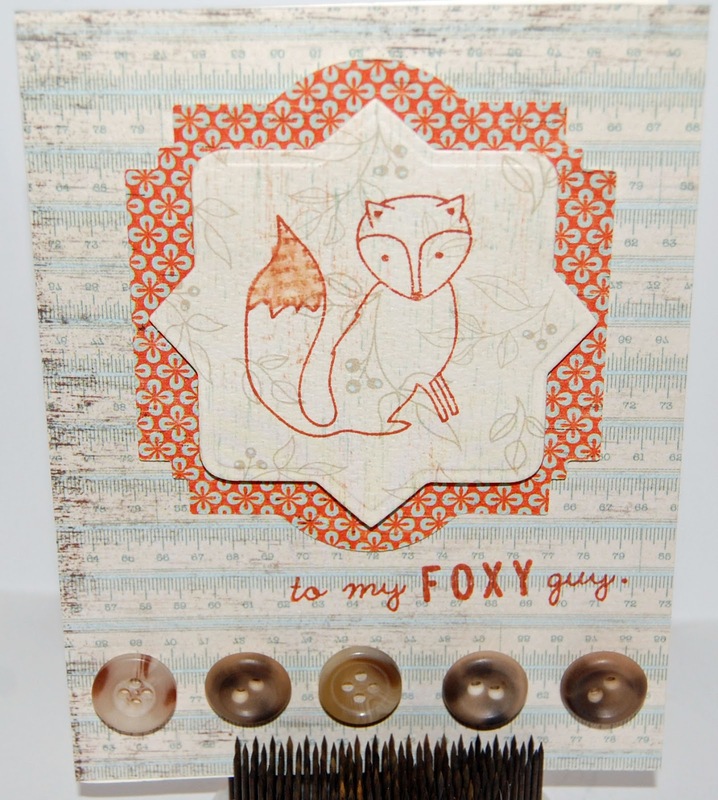 I used the following Unity stamps sets: Swirling Snow, Jolly Good Fun, SMAK True Story (3/12), and April 2012 kit of the month. It's difficult to read in this picture, but the snowflake in the lower right corner is stamped with the sentiment, "we're all just a little flaky". It seemed appropriate under the circumstances! 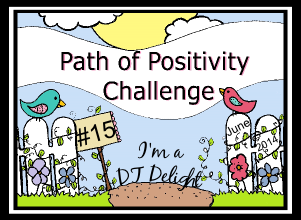 I watched a UnityTV video on their Youtube channel a couple weeks ago that Angie Blom did. I was totally inspired by her. 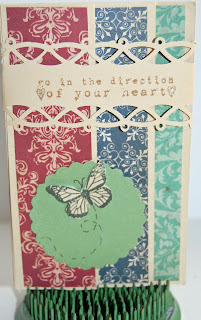 I watched what she did with acrylic paint and rubber stamps and thought, "I gotta try that". So I did! 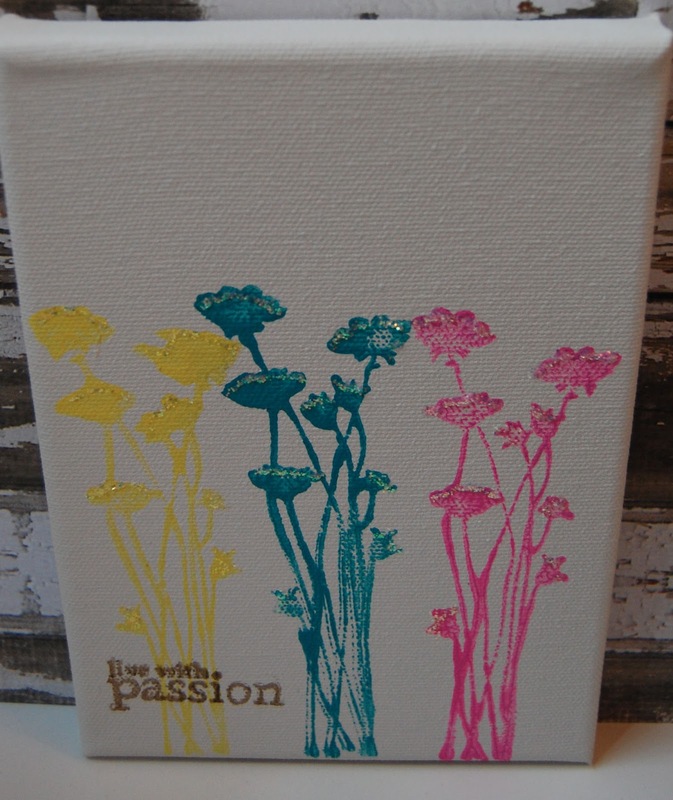 Here's my first attempt at a canvas using rubber stamps and acrylic paints. I used acrylic paints, sepia ink on the sentiment, and some stickles to make the flowers pop a little more. 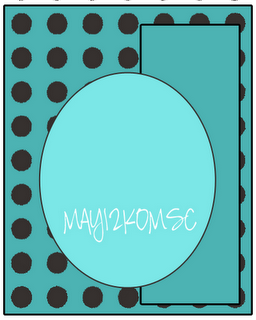 The canvas size is 5x7. Back in January, a friend and I walked to her husband's ice fishing shack on the local lake. 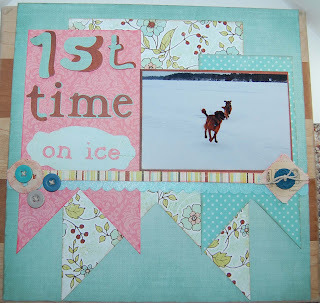 We took my 2 dogs along and they had a blast running on the ice. I used one of my favorite photos of the day for this layout. Don't they look like they are having fun? 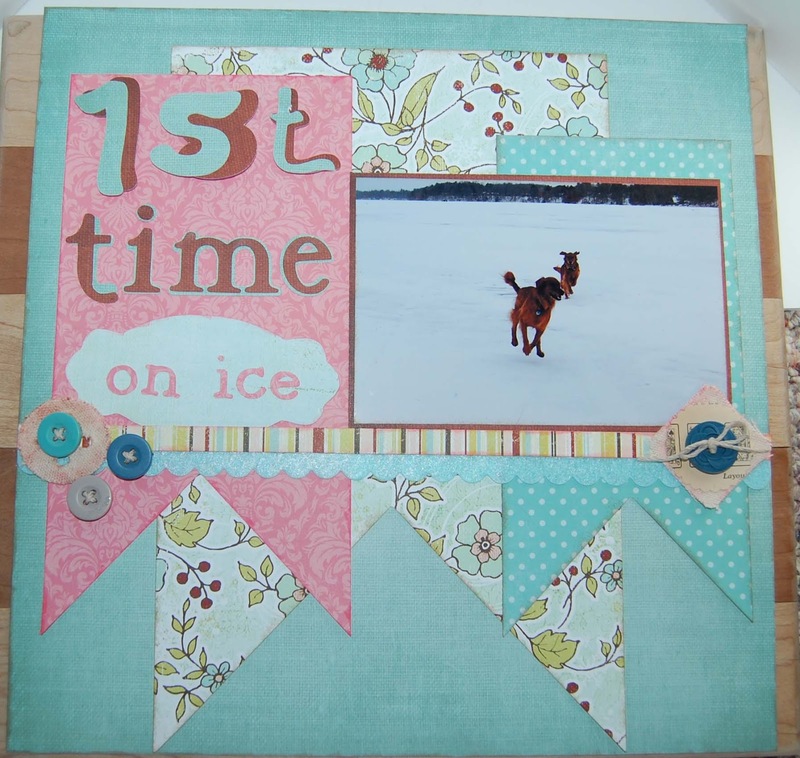 I used a few papers from the Fancy Pants Winterland collection for this layout -- Cards, Shiver, Blustery, and Coat. 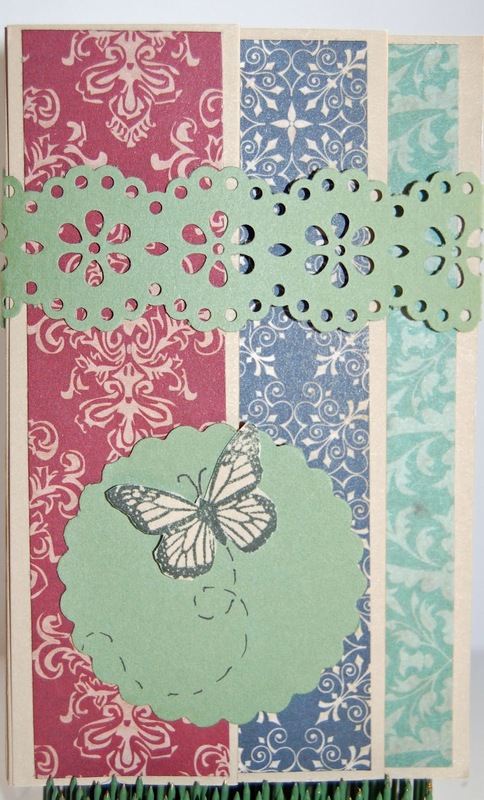 Two Echo Park papers were used -- Dots and Stripes Soda Fountain Aqua Tiny Dots and Style Essentials Dark Pink Damask. I used some fabric on this layout. 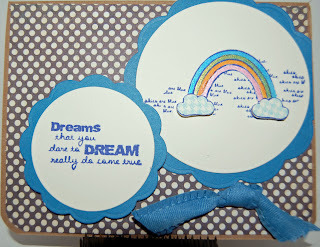 There is a felt border and 2 oversized canvas buttons that I inked with Tim Holtz Worn Lipstick Distress Ink. 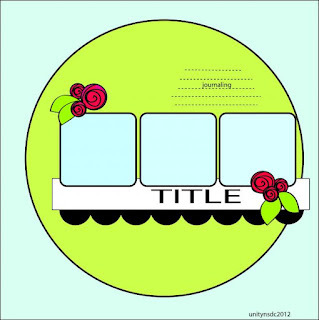 The buttons are October Afternoon. Close To My Heart hemp is threaded through the buttons. 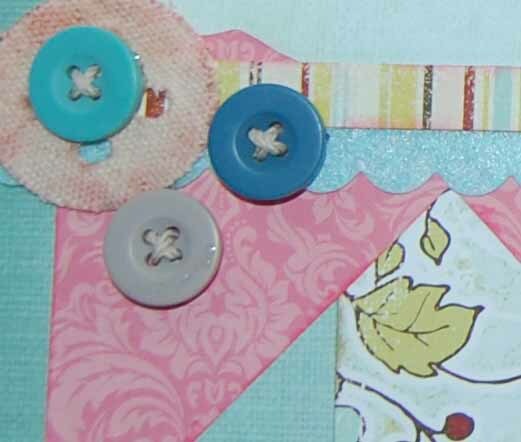 I also cut a page out of a book with a scallop punch and layered it on top of the square canvas button. 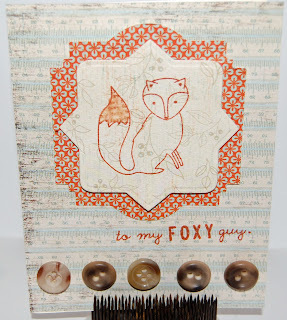 I used several Cricut cartridges on this layout. The banner shapes and the journaling box were cut out with the Art Philosophy cartridge. Type Candy Font, Cricut American Font and Cricut Classic Alphabet were used. 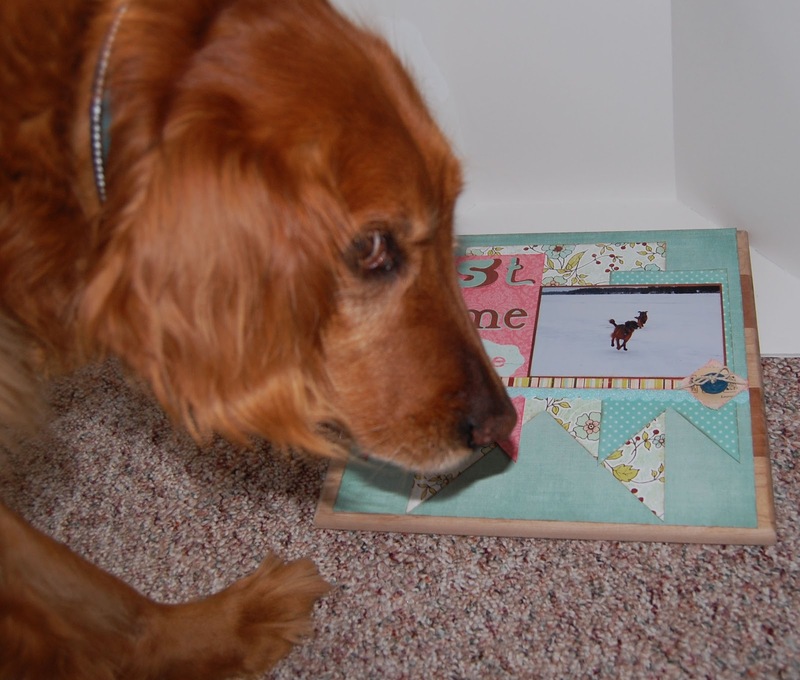 And here, my photographic assistant, Molly, makes sure the layout meets up to her approval. After all, she's the star.